Challenge Testing refers to a technique used to determine if a specific food allergy or drug allergy is present. In Challenge Testing, a very small amount of a food or medication is given, and then the patient is closely monitored to look for any signs of an allergic reaction. Both food and drug allergy challenge testing are performed under medical supervision. In addition to determining is specific allergies are present, Challenge Testing may also be used to determine if a person has outgrown an allergy. OFC stands for Oral Food Challenge. 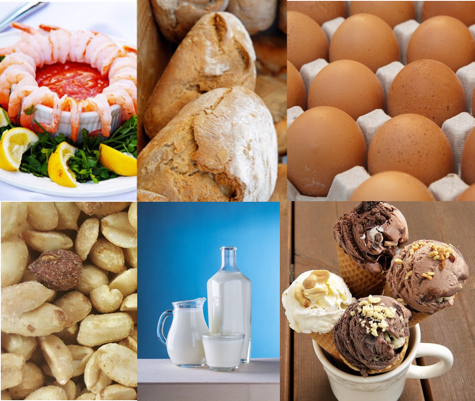 OFCs help identify potential food allergies by allowing the patient to consume a very small amount of a food suspected of causing an allergic reaction. The food is given under medical supervision and the patient is carefully monitored to evaluate them for a possible allergic reaction. If no reaction occurs, a larger amount of food may be given to determine if a reaction is triggered. What happens during Challenge Testing? Challenge Testing begins with a very small amount of a food or drug that’s suspected of causing an allergic reaction. If no reaction occurs, the amount of the food or drug is incrementally increased to determine if a reaction occurs. Challenge Testing can play a critical role in identifying food and drug allergies so immunotherapy (allergy shots) or other types of therapy can be developed based on each patient’s specific needs. What are the symptoms of food and drug allergies? Food and drug allergies can cause different symptoms, including sneezing, wheezing and other respiratory issues, digestive issues like upset stomach or diarrhea, rash, hives and swelling. Some allergies can cause swelling in the throat, mouth or eyes, interfering with your ability to breathe, swallow or see.